Hey everyone! How was your weekend? On Saturday the husband and I went to see Rampage, which was actually very entertaining. Who doesn't enjoy The Rock?! We went for all you can eat sushi afterwards and ate way too much. Sunday was a gorgeous day! We went with my family to see The Sting with Harry Connick Jr. at Papermill Playhouse and really enjoyed it. 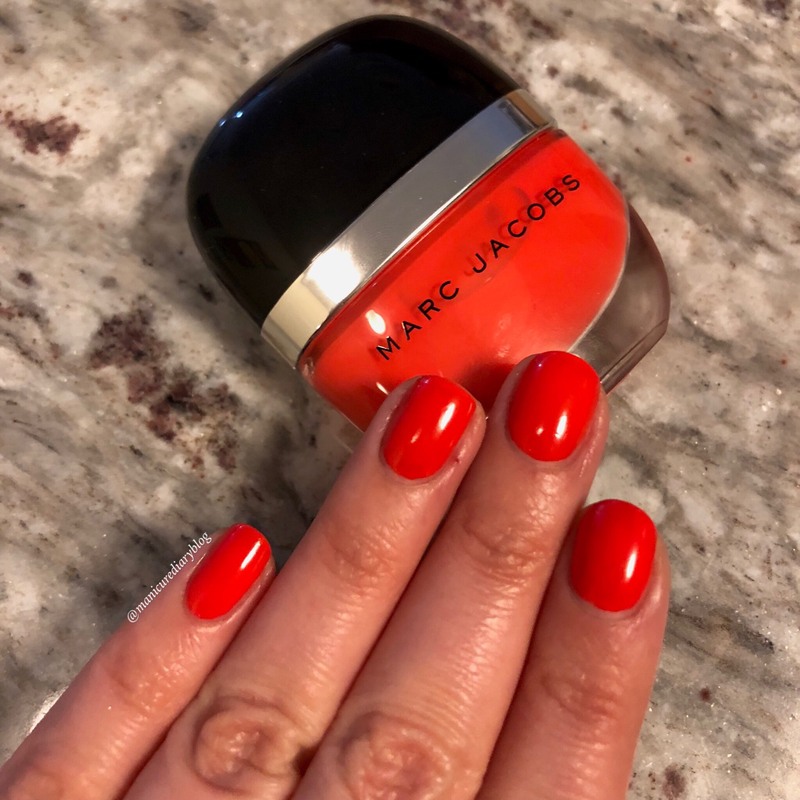 Recently I saw that Marc Jacobs released two "Runway Edition" nail polishes for Spring 2108 in the shades Glow Business, a soft peachy pink, and Fantastic, a bright poppy orange. 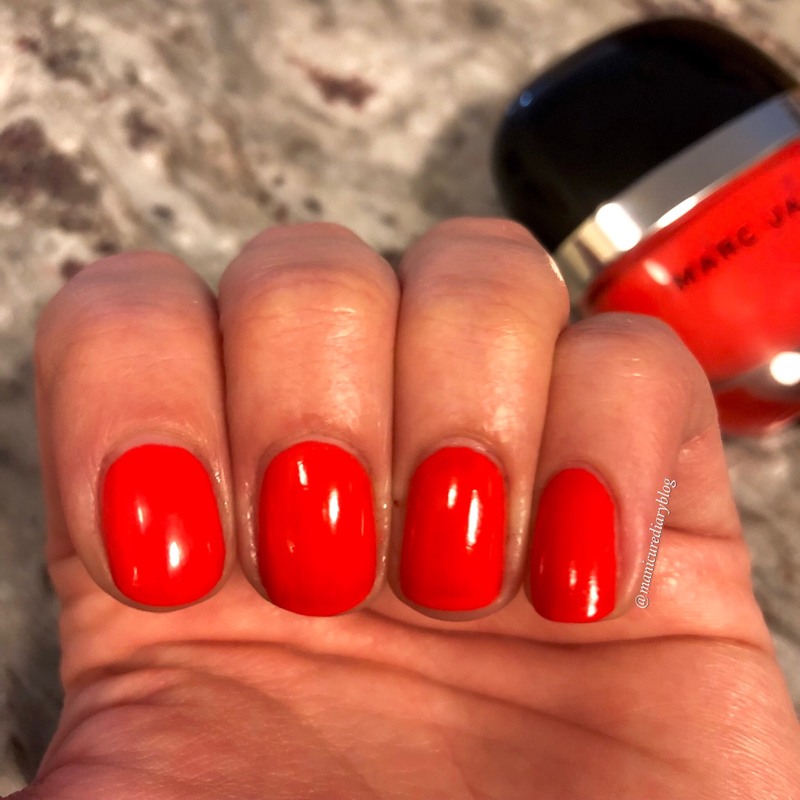 These are limited edition shades that were created for the Marc Jacobs Spring 2018 fashion show. 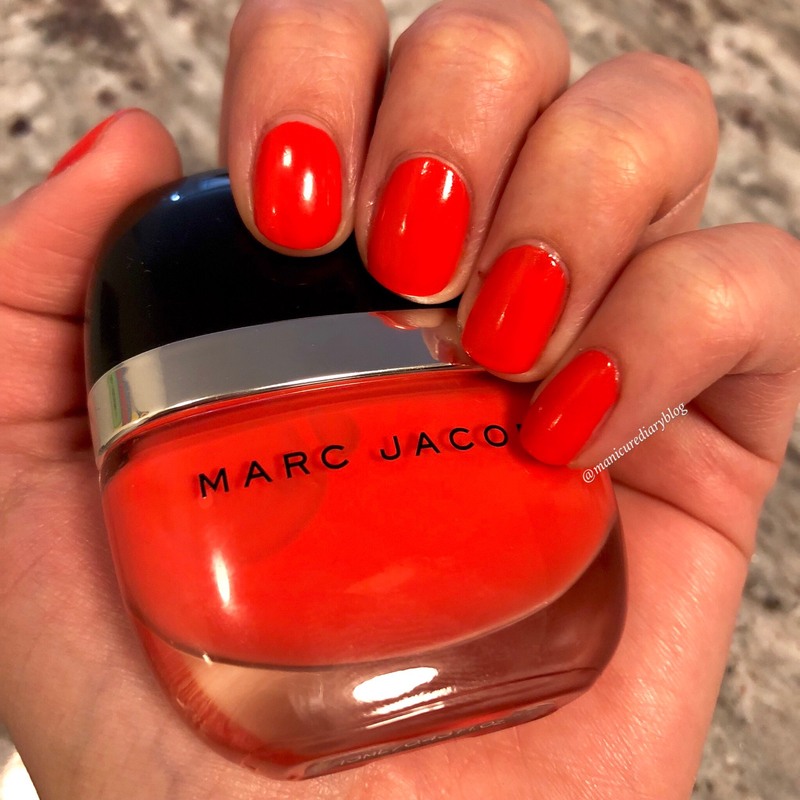 Fantastic really spoke to me so I picked it up from Sephora with my 15% VIB coupon. Honestly, when I first opened the box I thought the color would be too orange. 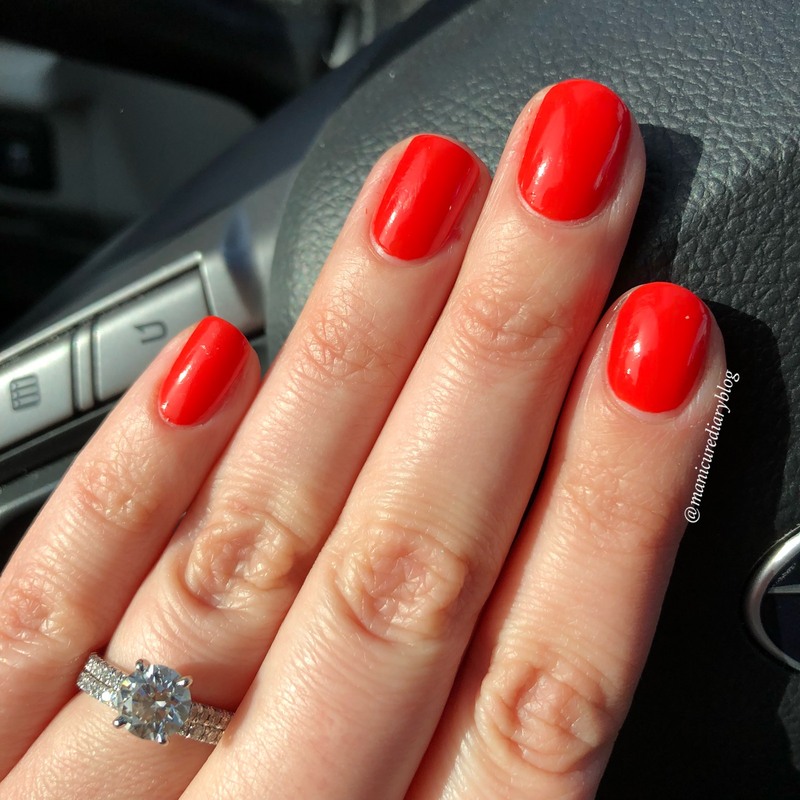 Once I put on two coats I was in love! 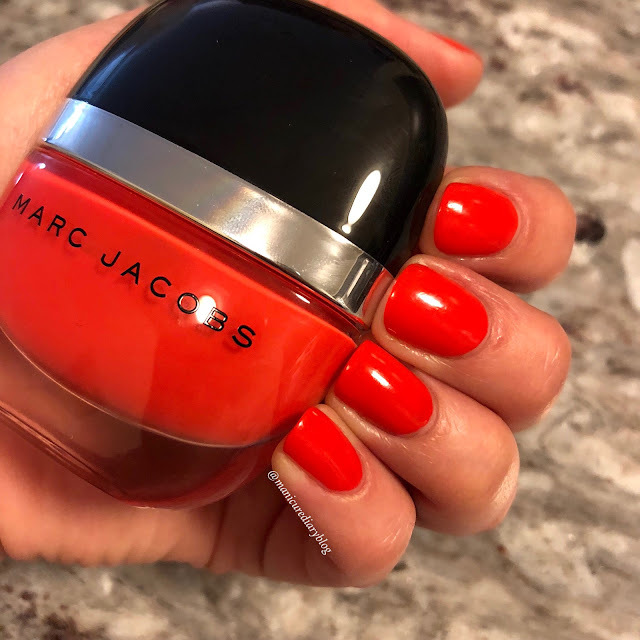 The formula is great and dries quickly with amazing shine even before top coat. 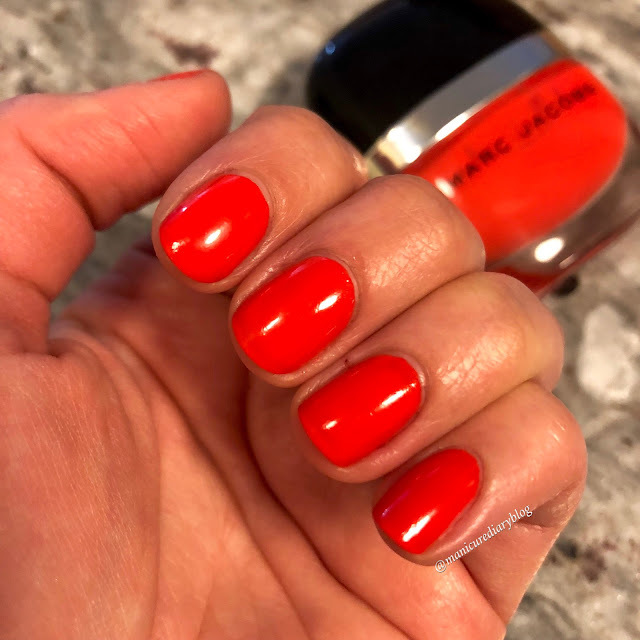 I truly enjoyed wearing this color all weekend and can't wait to wear it on my toes ASAP. If you can pick this one up I highly recommend it. Hope you all have a great week and enjoy the (finally!) warmer weather!